Clean input equals clean output. There is no other way around it. Good data means that you can accurately segment and target your messaging. Make sure that all your contacts are up-to-date and valid. Remove all bounces and duplicates, ensuring each contact has accurate information. The more time you spend cleaning your data in the beginning, saves you loads of time backpedaling later. Consistency is key, and the way your team enters data into your system should be no different. If you write California as CA, C.A., or Calif, make sure everyone is entering it in the same way. This way when you are filtering through contacts and segmenting your lists, there are no discrepancies. 3. Get your entire team onboarded. No person left behind. CRM is not just for sales people, just like marketing software is not just for marketers. Each department has its own use for the data collected with each of these tools. From customer service to sales and marketing, every member of your team should have access to the data they need to do their jobs better. For example, support needs access to the contact’s record to view any past issues, conversations with your sales team, whether they attended a particular webinar and so on. This 360-view of the customer gives your team knowledge, and knowledge is power. So, instead of limiting who uses your platform, onboard the entire team and grant permissions based on the data that each department requires. Process and workflows are going to be the bases for your sales and marketing strategy. Identifying your process is the first step to understanding how your leads move through your funnel. Once you understand the process, you can set up appropriate workflows to help streamline all of your tasks and activities. Draw out your workflows so that you have a visual representation of the process. This gives you a seamless blueprint for when you set them up in GreenRope. Lead generation and collecting contact data should be a top priority for any business. Signup forms enable you to capture this information, which is automatically populated into the CRM. Once a person signs up, you are able to add them to groups, trigger workflows, and much more. Create your signup forms, embed them onto your website, and watch the leads roll in. Click here for our how-to for GreenRope Signup Forms and Landing Pages. Email marketing remains the best way to communicate with your contacts. Not only is it effective in terms of ROI, but it is simple to execute when using GreenRope. Easily create professional email templates with GreenRope’s EasyBuilder, or if you are an experienced designer, use our HTML builder. Your options are unlimited. Once you have created your emails, set them up as newsletters, one time broadcasts, drip campaigns and more. To get started, create a template and send out an email. For more information about creating and sending emails with the EasyBuilder, click here. Whether drip campaigns or one-time emails, always track your results. It is important to understand how your contacts are responding to your communication. Under Communicate > Track Email, you can view each broadcast in detail. Look at your read rate, effect, bounces, and complaints to start with. Then, you can move to more in-depth analytics such as location, browsers, hot prospects, clicks, and see how you compare with our Benchmarks feature. Regardless of where your website it hosted or built, always install GreenRope’s tracking code onto each page you want tracked. Ideally, you want to track each page so you can see your site’s performance. What pages are they visiting the most? Do they stay on the page or do they bounce right away? You can also get realtime notifications when a lead hits a certain threshold for visiting so many pages on your site. This is a great sales tool, as sales execs can strike while the iron is hot. Each month, GreenRope hosts three webinars covering everything from features to strategy and best practices. The GreenRope support team as well as the heads of each department host the webinars, so you know you are getting all the best information! The third Thursday of every month, our team puts on a Q&A session designed to be an interactive conversation where you can ask any and all questions you have about the system and its many features. We have a world-class support team that is here to help you every step of the way. You can contact us via email, live chat, support ticket, or simply call our support line. Our team is happy to do anything we can to help you be successful with GreenRope. As GreenRope users, you have all of the tools at your fingertips to help you succeed. 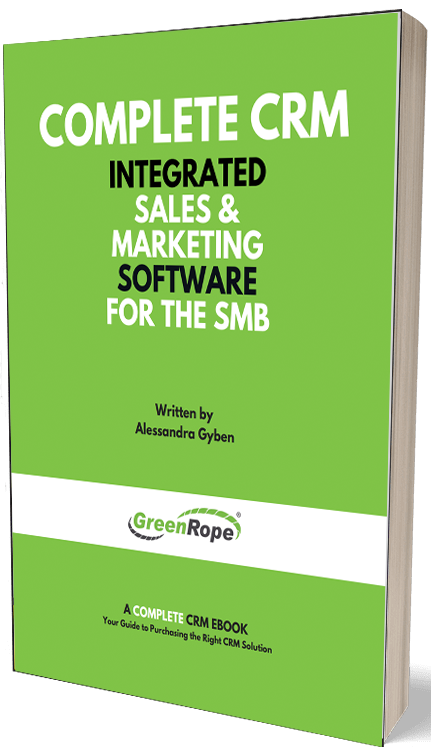 From our customized services and onboarding process, GreenRope will help you transform your business into a lead generating, customer pleasing machine.